Striking Web Solutions will partner with you to create your dream site. 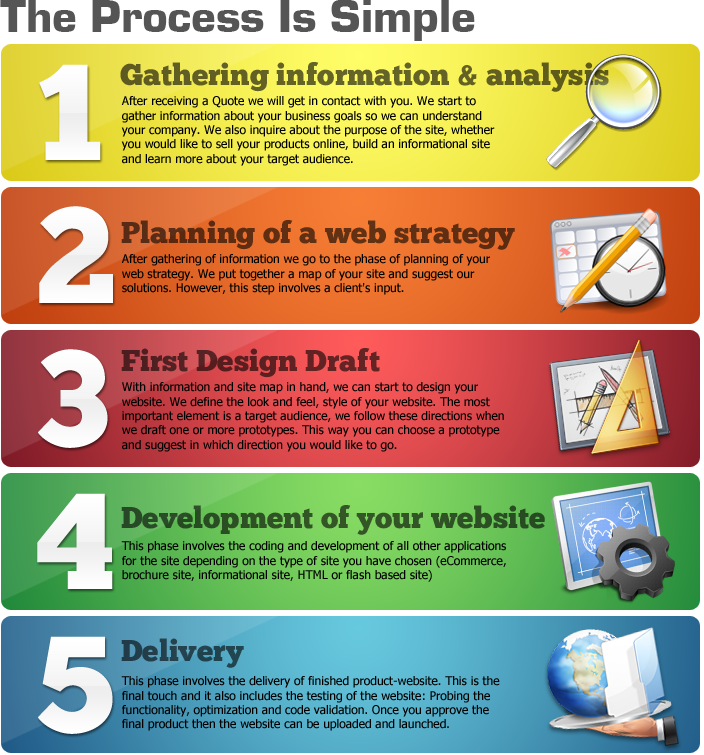 Our simple, 5 Step Process will bring your dream site to reality. We will guide you every step of the way ensuring nothing but success for your web project! Striking Web Solutions is happy to discuss any project. No project is too big or too small. Striking Web Solutions can scale with your business to accommodate all of your business’ needs. Each web project is different so please, contact us today and we’ll be happy to provide a custom proposal tailored specifically to your needs. Contact Us - Let's Discuss Your Project!